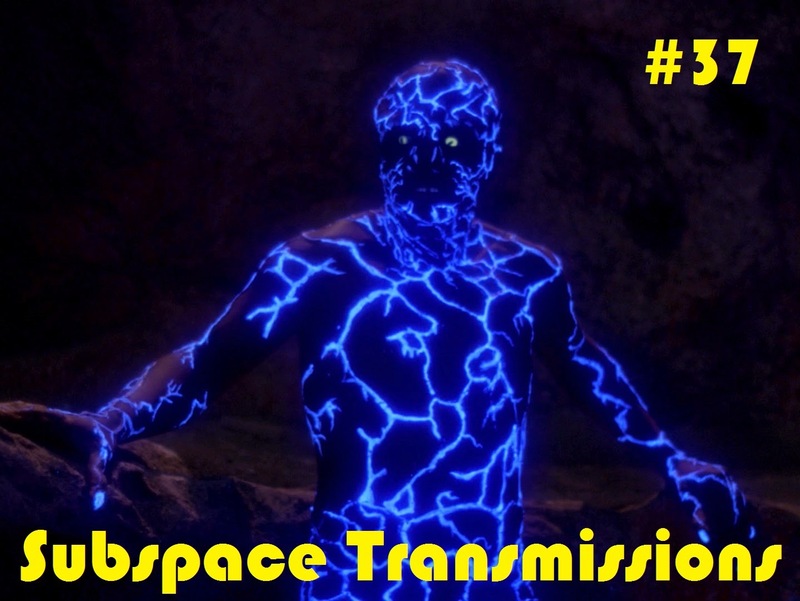 Subspace Transmissions: A Star Trek Podcast: EPISODE 37 - "MOST MEMORABLE TRANSFORMATIONS"
Out of all of the many astonishing phenomena in deep space, none seem quite as recurrent on Star Trek as metamorphosis. In this week's mega-morphin' episode hosts Cam Smith and Tyler Orton take a gander at some of the franchise's most amazing instances of characters undergoing terrifying, comedic or strategic body modifications. Whether it's Geordi La Forge being turned against his will into a mute day-glo alien, Riker devolving into a caveman or Kirk covertly strapping on a pair of Romulan ears, we make it our bold, brave mission to place all of the best transformative moments under the microscope! Hope you enjoy our findings! Wanna appear on the show? Shoot us a 30 to 60-second audio clip letting us know what you think Trek's MOST MEMORABLE TRANSFORMATIONS are and you could take the spotlight in an upcoming program! You can also send any other questions, topic ideas or feedback to subspacetransmissionspod@gmail.com!